Yarik-Ecuador is Ethnic Indian band. Created in 2003 from street musicians. Yarik translated from kitchua means remembrance. Thus the project itself is called “memory”, after an appeal to ethnic music in the transcription of prominent Peruvian and Ecuadorian street musicians who do not have a classical musical education, Sixto Aymara, Lenin, de la Torre, Alberto and Hector Loza is no accident. They amaze songs make us think about his true origins, so we have responded, genetic memory would indicate to us the right way to cleanse our minds from the alluvial stereotypical beliefs. 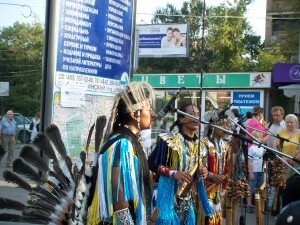 The first group received more popular in its native city and province, participated in many local festivals. With the same ensemble of 2003 touring around the world and participates in festivals of folk music of Latin American countries such as Columbia, Brazil, Peru, Argentina and Chile. The first trip to Europe in the summer of 2004 in Holland. Thereafter for five years, the group visited Germany, Poland, Finland, Norway and Sweden. 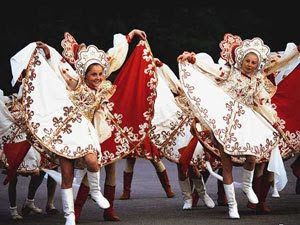 The first visit to Russia took place in 2009. 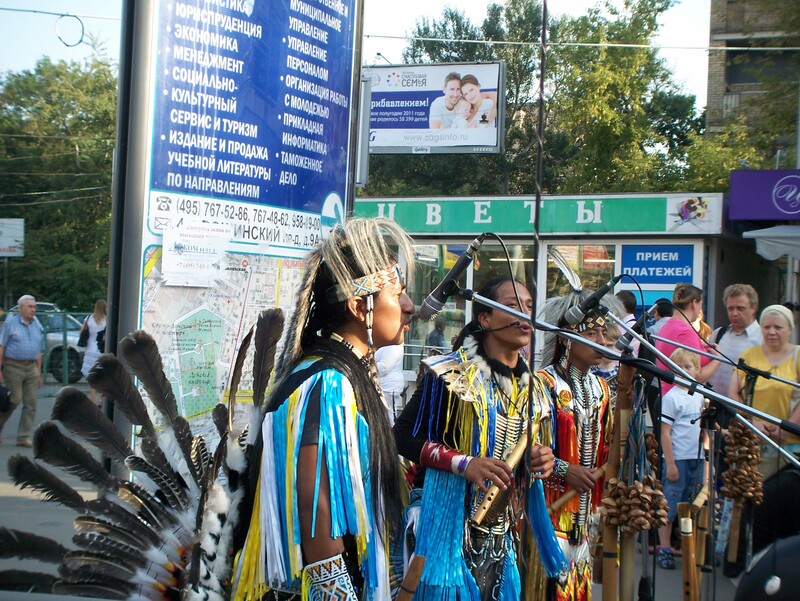 Most concerts held in St. Petersburg and Kaliningrad. In 2010 it was decided to visit Moscow renewed composition. Start went well with an invitation to a concert in honor of Independence Day of the OCE, the performance was so successful that the administration immediately OCE entered into a contract with the group until the end of October, all weekends. Yurah (Vladislav Baslin) – director and producer. 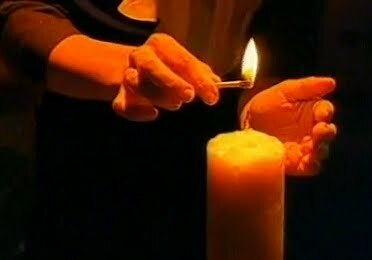 This entry was posted in Art Collection, Moscow, Musical Video, Theater on September 14, 2011 by admin. Russian Video: Vyacheslav Polunin on the pictures! What do we know about clowns? People whose profession is to make us laugh? Photographer Vladimir Mushukov spent two years by following outstanding Russian clown Vyacheslav Polunin. People all over the world loves him and admit he is not the simple he is a very deep person and artist. What Is My Kind of Theatre? This entry was posted in Theater on September 13, 2010 by admin. 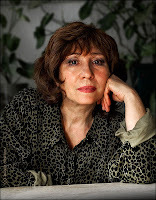 Elena Kamburova turned 70 years old (11th of July). Elena Kamburova is a very good Russian singer and actress. Elena Kamburova plays in theater what she founded in 1992 “The Moscow Theater of Music and Poetry” and sings very good mostly bard’s songs. She sang in more than 100 Russian movies. On the road of fairytale. shores of Light and Good? along with the sweetest words. This entry was posted in Musical Video, Theater on July 13, 2010 by admin. Russian Performance ballet "Exiton" – Videos! Recently, I’ve discover this Russian Performance Ballet Group “Exiton”!These kids are incredible! Exiton was founded 20 years ago in in Russian city Ulyanovsk. For their history they’ve got 60 Grand Prix in dance competitions all over the world!I personally think that the kids dance better than professionals in Bolshoi Theater. This entry was posted in Ballet, Theater on May 29, 2010 by admin. 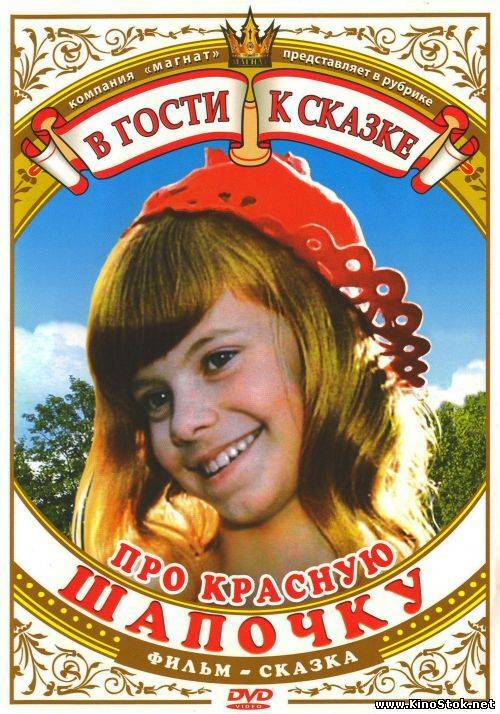 Russian Video: Yuli Kim "A Song About Stars"
Today we are listening a beautiful song and watching a small part of nice soviet movie for kids “About Little Red Riding Hood”, 1977. This movie is continue of famous Charles Perrault fairy tale “Little Red Riding Hood”, the story starts in a year after Little Red Riding Hood was saved from evil Wolf’s belly. I’d rather you go visit a silver-haired stargazer. Hes just at the reach of a hand. He’s delved into three thousand books. And at them, will let you have a look. Comets are, proud as peacocks, promenading. A lunar bear with clever azure eyes. An aided or unaided eye. Should be at this time outside. You’re sure to find a star of yours. Sets in on the planet of Earth. A crescent is sailing like a white pirogue. Splendidly setting down and sightly rising. At hours of serene dead of night. The Zenith is buzzing a bit. We can be seen best of all. Joyfully sleeping both in prams and cradles. All to himself is telling fairy tales. And that’s the whole story, indeed. Splendidly setting down and sightly rising..
Svet and Kylecomments always welcome. This entry was posted in Musical Video, Theater on May 18, 2010 by admin. Video: Kseniya Simonova Continues Her Famous Requiem. Ksenia Simonova continues creating sand shows about World War II or how we call it here The Great Patriotic War. We are diffidently fans of her art so today we publish a new video of hers: “One more time about the War”. The video Requiem you can watch here. To read more about Kseniya Simonova and interview with her in English you can watch here. This entry was posted in Memory, Musical Video, Theater on May 15, 2010 by admin. Delphic Games in Russia (Video)! Delphic Games in Russia – competition in the name of Art! One of the year’s most highly-anticipated events, The Delphic Games, started in Russia at 2nd of May 2010. The forum entitled “We Remember” is dedicated to the 65th anniversary of the victory in World War II. Several thousand young artists aged from 10 to 25 are taking part in the 9th edition of the Delphic Games. This entry was posted in Documentary, Theater on May 6, 2010 by admin. Russian Video Presents The Japanese Kodo Drummers! We always post a Russian video (well almost) and this is a video made in the Moscow International House of Music. It has the Japanese, Kodo drummers! Exploring the limitless possibilities of the traditional Japanese drum, the taiko, Kodo are forging new directions for a vibrant living art-form. In Japanese the word “Kodo” conveys two meanings: Firstly, “heartbeat” the primal source of all rhythm. The sound of the great taiko is said to resemble a mother’s heartbeat as felt in the womb, and it is no myth that babies are often lulled asleep by its thunderous vibrations. Secondly, read in a different way, the word can mean “children of the drum,” a reflection of Kodo’s desire to play their drums simply, with the heart of a child. 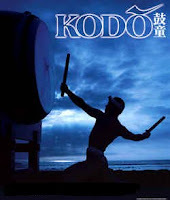 Since their debut at the Berlin Festival in 1981, Kodo have given over 3300 performances on all five continents, spending about a third of the year overseas, a third touring in Japan and a third resting and preparing new material on Sado Island. Kodo strives to both preserve and re-interpret traditional Japanese performing arts. Beyond this, members on tours and research trips all over the globe have brought back to Sado a kaleidoscope of world music and experiences which now exerts a strong influence on the group’s performances and compositions. Collaborations with other artists and composers extend right across the musical spectrum and Kodo’s lack of preconceptions about its music continues to produce startling new fusion and forms. This entry was posted in Theater on March 23, 2010 by admin.